Universities, especially campus universities, are their own little worlds. They are pockets of eccentricity in which it is perfectly acceptable to dedicate years of your life to the symbolic importance of birds in Macbeth (an extreme example, but a true one nonetheless). It is therefore easy to forget that this is not how the rest of the world functions, indeed the uniqueness of each institution means that this is probably not even how other universities function. It came as a surprise to me then when I first learned of the great inequalities in academia. In my department at UEA, LDC (Literature, Drama, and Creative Writing), there seems to me to be a fairly even gender divide. 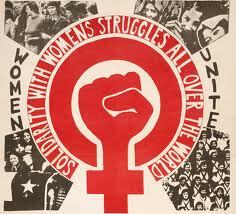 I have been taught by roughly an equal amount of men and women. However, this is by no means the norm. In the UK just 1 in 5 professors is female, with many top institutes having figures as low as 1 in 10. Perhaps it is the modernism of UEA and its concerted efforts to avoid the fustiness of older universities which contributes to the near equal number of male and female professors – but then it might just be my department. I have been thinking about this topic over the last week due to the comments made by Sir Tim Hunt, and the media frenzy that has since followed. Hunt has since resigned from his posts at UCL and the Royal Society – although not before telling the BBC that, “I did mean the part about having trouble with girls”, and adding it was, “a very stupid thing to do in the presence of all those journalists”. … One might feel this implies he doesn’t regret the comments he made but rather the fact that he’s (rightly) being challenged because of them. STEM careers are vital to the future of this country, and if 51% of the population is being discouraged from pursuing them because some of their colleagues can’t separate their personal and professional lives, then we’ve all got a problem. And after the great pains over the last few years to encourage women into STEM careers, I find it deeply saddening that someone who the scientific community should be looking to as a role model could come out with such sexist statements. In an interview with the Guardian, Tim Hunt’s wife recounts how her husband had cried following his forced resignation from UCL – although it’s unclear why they expect sympathy for their tears when Hunt himself complained about female scientists who cry when criticised. A handful of eminent female scientists have come out in support of Hunt, saying that from their experiences of him they are assured that he isn’t sexist… I’m not convinced. However, if this was just a massive gaffe on Hunt’s part, and if he truly wished to make amends, then I believe his path forward is clear. In his interview with the Guardian, Hunt is quoted as saying, “I am finished…I had hoped to do a lot more to help promote science in this country and in Europe, but I cannot see how that can happen. I have become toxic.” Indeed. Issue a proper apology. A PROPER one, in which he doesn’t claim he was, “just trying to be honest”. Use the considerable amount of influence and contacts he has, as a Nobel Prize winning scientist, to support the good work of organisations such as WISE (https://www.wisecampaign.org.uk/) who aim to get more women in the UK into STEM careers. A smart person can win a Nobel Prize, but a great one can come back from this and help remedy the damage they have done. I walked into a class at eleven last week, with everything apparently as normal, and when I walked out… this had happened. 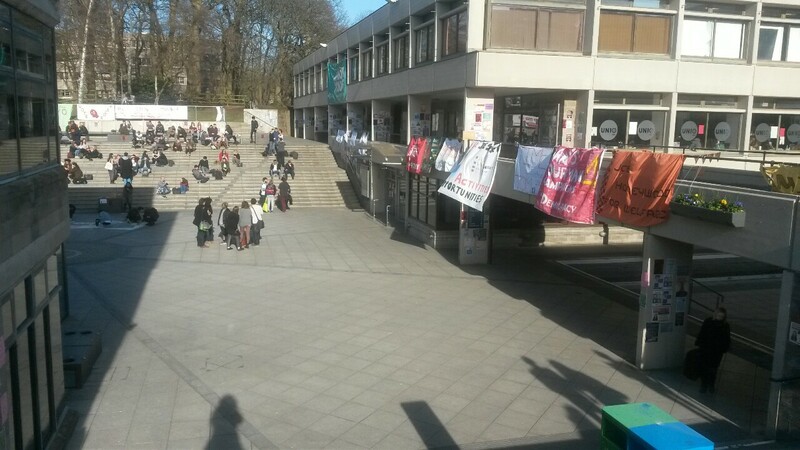 In case you hadn’t guessed voting has opened for Student Union reps, and campus is currently flooded with manifestos and posters, people are handing out leaflets on the Street (a guy just walked past my window with a ‘Vote…’ banner on his back). But even with all this propaganda in your face, it can be quite tempting to let it slide by. To be honest a lot of the manifestos sound the same, and whilst I’m sure that I do profit from the hard work of our union reps, it’s hard to put your finger on what effect they really have on your uni experience – a lot of them sound the same, so does it really matter to me who wins? A lot like the General Election, if you want to know what’s going on you actually have to do some digging yourself. Take a ten minute break from Facebook and check out the Union website, find out what people are saying about their campaigns and you’ll find you get a lot more out of it. Many of the aims are generic, but some, like the fight to have gender neutral toilets, are more specific points that less candidates are focusing on. Another way the Student Union election is like the General in May, is that it is meant to elect people to represent the population, and if you don’t bother voting then you are choosing to not be represented or to have your voice heard – which sounds like the choice of an imbecile if you ask me. Check out what the candidates have to say at www.ueastudent.com/vote, or they can often be found hovering in Unio café, eager to answer potential voters questions. 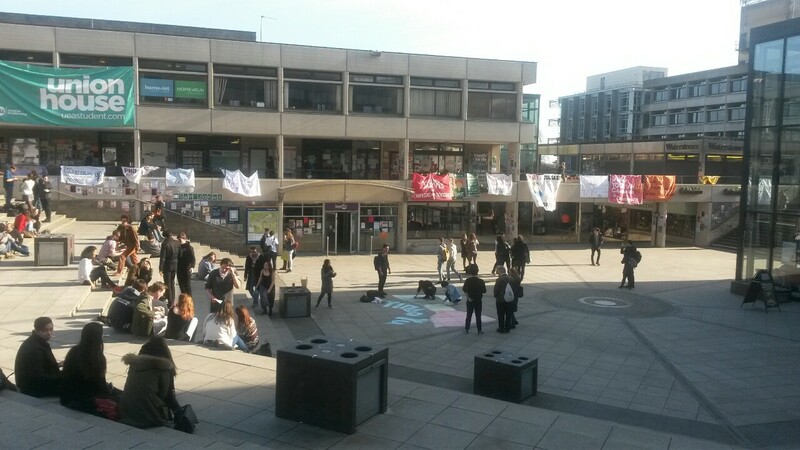 Other events happening on campus over the last few days include the Feminist Society’s celebration of International Women’s Day. 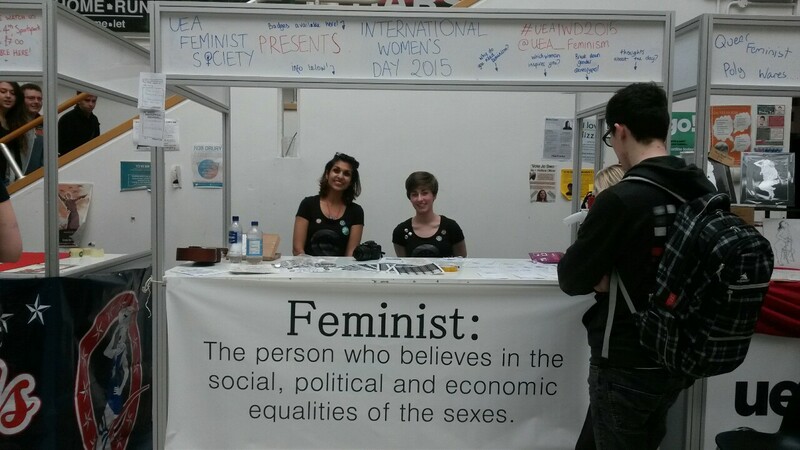 Various speakers had a platform in the LCR, and in the evening the talented women of UEA performed music and poetry. 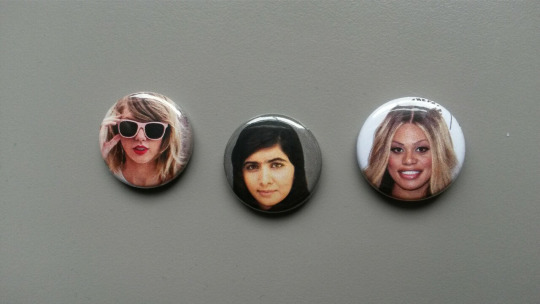 I got these cute pin badges from the FemSoc stall. That’s about all until next week, in the meantime, GET VOTING!